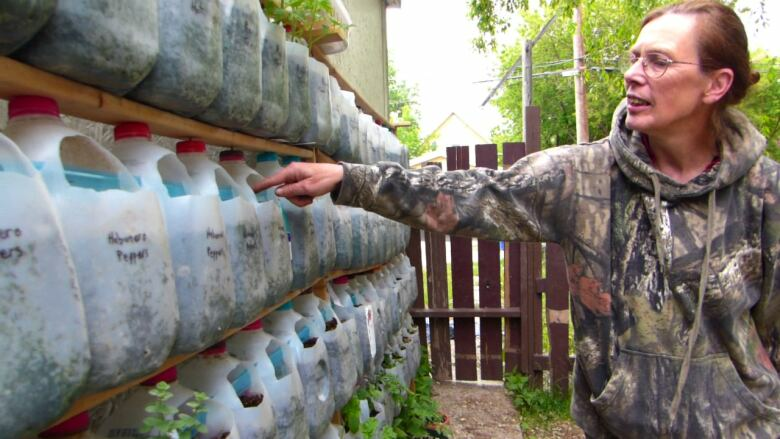 Lydia Martens wants her community in North Central to know they can grow their own food. That's why the Regina woman is growing an abundance of vegetables and herbs. "This time of the year my hands are never clean," Martens said, as she stood in her front yard on the 800 block of Garnet Street. 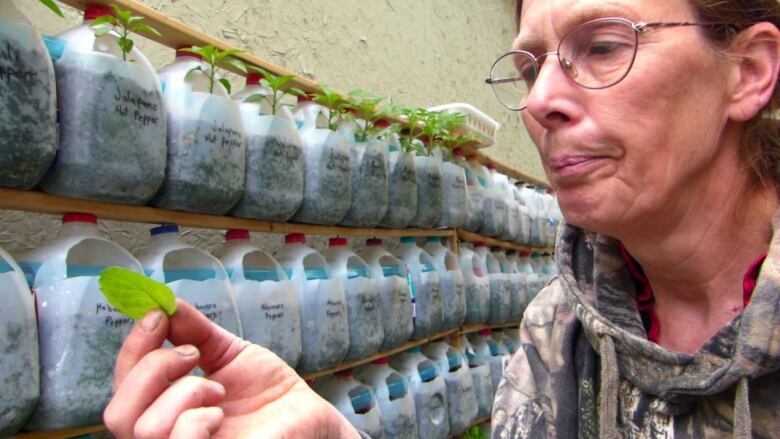 She's taken a twist on the traditional gardening by using a method called micro-gardening. "My intent is to donate most of it to the community," she said. "I also want to show others how easy [gardening] is, even with no space." She said there are about 80 individual plants per stand. Martens has more than four stands at her home. Additionally, she's growing hundreds of pounds of potatoes in boxes. She's growing a variety of tomatoes, peppers and squashes to name a few. Cabbage plants line the walkway and peas are just beginning to climb the fence. There's such a variety of produce growing that she could hardly name them all. "I'm trying to focus on the foods that people seem to prefer most often." But for Martens, sometimes health triumphs taste preference. "Parsnips might not be all that popular but they are sure healthy," she said. Martens is a self-titled gardening veteran. "I've been gardening all my life. Grew up in the country. Don't belong in the city," she said. However, she had never micro-gardened prior to last year. The idea came to her because she was hungry and couldn't afford to eat. "I didn't have money and I had to do grocery shopping and produce is expensive." Through trial and error, she's learned how to grow a reserve of food. "The first year was so successful that I decided you know what? The community needs to know that you can do this." 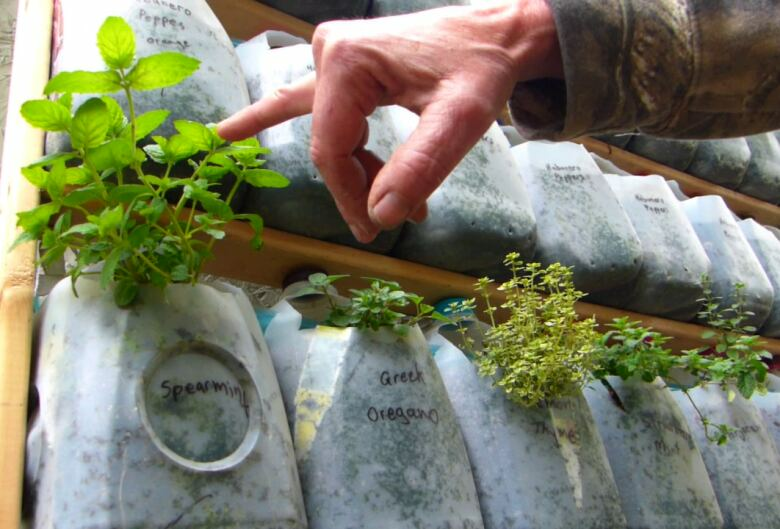 Martens said she wants people, particularly those in urban areas, to embrace the art of micro-gardening. People should think vertical rather than horizontal, she said. 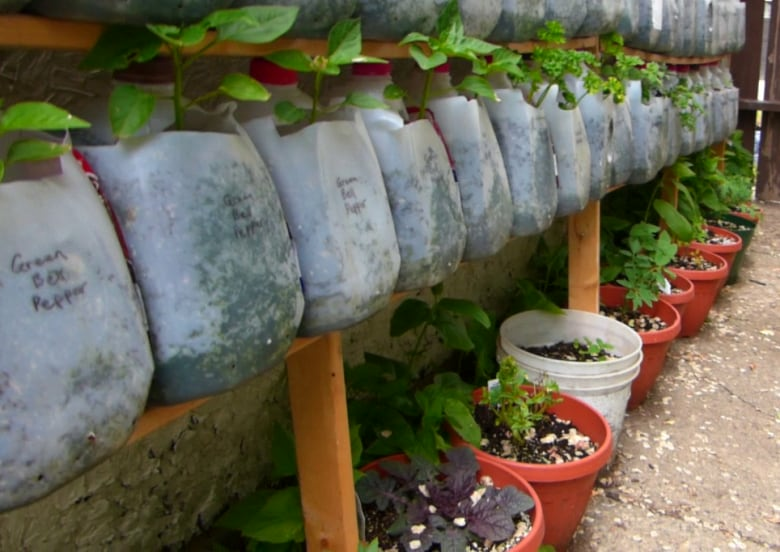 "You can grow almost anything in these things," she said, pointing to the re-purposed milk jugs. She promotes the low cost, the small space needed, the minimal weeding, and she has found them to be "landlord-friendly." "Landlords don't want you to till up their lawns, so you do what you can." She's also started to think beyond the single season. Saskatchewan growing seasons are short, so Martens has begun to dehydrate her home-grown produce. That way it can sustain her all year round. Micro-gardening can feed the community, but it can also foster relationships, Martens noted. According to her, the quickest and best way to make friends with a neighbour is to give them food. Neighbours and passersby have been curious about her project. Martens said she has welcomed them into her yard to explain what she's doing—and why. She hopes her methods will spread. Martens said she also helps out with the community gardens. She hopes to one day teach gardening in elementary schools.